This sophisticated USB drive is ideal for your tech savvy customers! 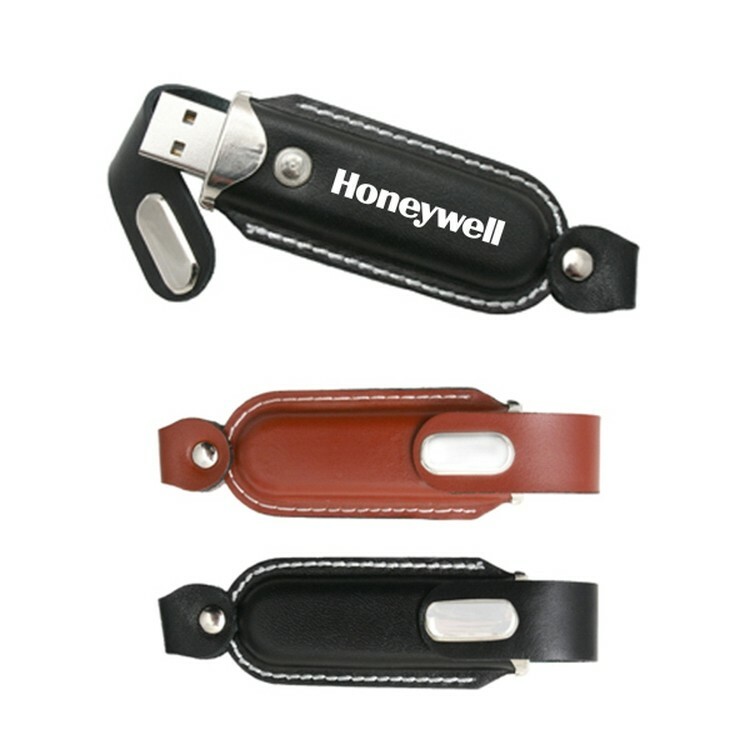 A classic looking USB drive made with faux-leather and metallic accents to have your company name or custom logo imprinted or debossed for maximum brand exposure. With 256 MB, 512 MB, 1 GB, 2 GB, 4 GB, 8 GB, 16 GB and 32 GB of memory available, this compact flash drive will make a sizeable impression on potential customers everywhere!